The recently rolled out Google+ is Google’s latest effort to get a handle on something that so far has eluded the company: namely, gaining access to the data users generate when they post status updates, share photos and comment on friends’ activities. More and more, these social “signals” are becoming a crucial part of how people behave online, and if Google wants to remain on top, it needs to re-evaluate its business strategy and find a way to integrate these features into its search business. As I describe in a new research report for GigaOM Pro (subscription required), that means other companies that depend on Google for their livelihood — as almost everyone does to some extent — must also change the way that they think about search, in order to take advantage of its increasingly social nature. As we’ve explained at GigaOM a number of times, the driving force behind these efforts is not a desire on Google’s part to mimic Facebook or provide a nice place for people to chat about photos of their pets. The main impetus is to extract information from the social activity that occurs on such networks, and to use that information to make better decisions about search results and other targeted services. 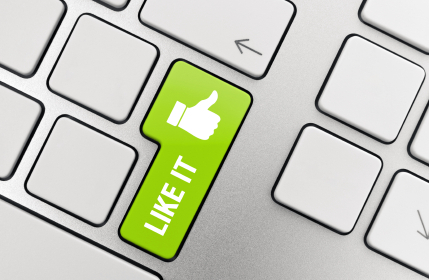 The key point is that social “signals” — Likes, retweets, etc. — are becoming a much more powerful force in determining user behavior online. In a world where many people devote large amounts of their attention to Facebook, Twitter and other services, the movements —- including shopping-related activity —- of Internet users are being influenced more and more by the recommendations and social signals of their friends. The bottom line is that companies of all kinds will have to be more aware of —- and actively involved in -— social networks, so that they can become part of the social signals that Google is indexing. For more on the impact that social behavior is having on search, and some advice on how to take advantage of it, please read the full report. Definitely. If Google can’t figure out & monetize social search, that will be a problem long term. But not only social search, but also a blend of online/social is needed. It will be interesting to see them unravel Google+ search which better have some innovative features since they have been stewing on it for a while now. Also, Twitter hasn’t played their Search card yet. They are sitting on a ton of data. The search engine optimization industry is already trying to game Google+.